New research shows that it is technically feasible to create floating high-rise buildings of 15 floors at sea, even under hurricane conditions. This is one of the conclusions of our intern Kelvin Ko, who just completed his Civil Engineering Masters thesis at TU Delft. 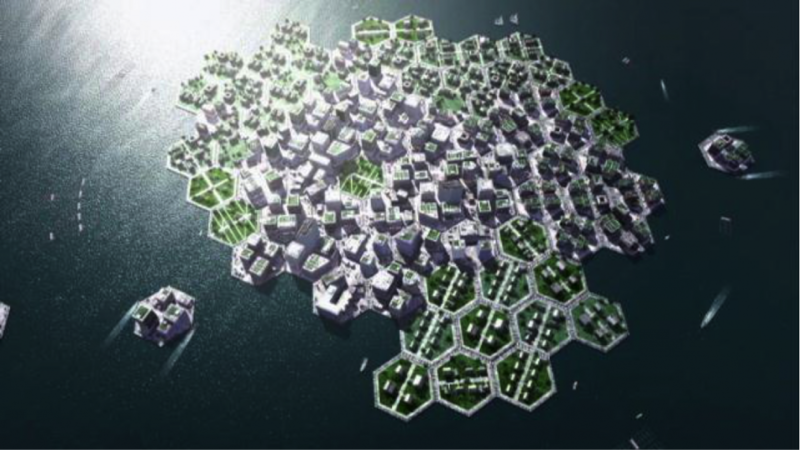 The research is a big step forward for the BlueRevolution, because it increases the attractiveness of floating urban development for cities such as New York, Hong Kong and Singapore. Fascinating fact: inhabitants won’t feel any movement caused by waves… Really? Some technical details: from the results and calculations in this thesis, it is reliable to connect up to 4 platforms in a linear formation for the chosen design of the hexagonal platform with sides of 60 m and a construction height of 14 m. This means that a floating community of 16 platforms (in a configuration of 4 by 4 platforms) can be realised and house approximately 4000 inhabitants. Kelvin Ko’s paper appeared in the Danish journal Urban Island Studies and he will present his research at the conference Island Cities and Urban Archipelagos 2016 in Hong Kong.